We have a new bathroom fixture on our countertop. It is as exciting as our new blender in our kitchen. Really it is! It may even be more important when it comes right down to it. 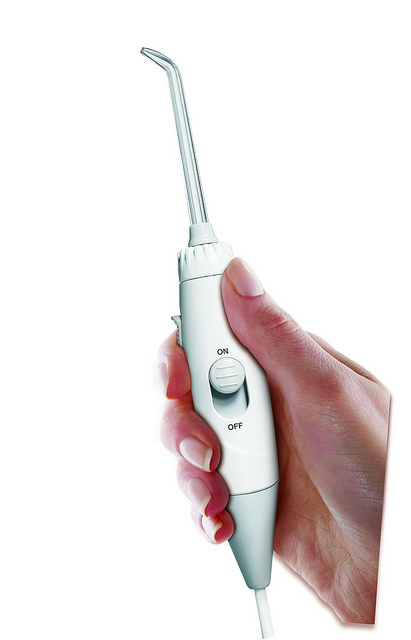 It’s full name is the Waterpik Aquarius Professional Water Flosser and let me tell you why we need it. It is clinically proven up to 50% more effective for improving gum health vs. string floss and proven to remove up to 99.9% of plaque from treated areas in 3 seconds. About a year and half ago we sat down to discuss the beginning of C’Man’s orthodontic treatment plan. He is going to be twelve soon and he is planning on having jaw surgery when he is around fourteen or fifteen to correct his jaw line. Scary stuff! Well it’s not that scary I guess, but there is a lot of planning and procedures we have to do to get there. In the next few months, he’ll be getting braces. The orthodontist sat him down for a good length of time and explained that flossing is a must. He has to take care of his teeth and all of the dental work that will go into his mouth too. Flossing is extra important when you have braces and actually kind of a pain at the same time since all those metal wires get in the way! The Waterpik is going to awesome for him!! I’m going to admit to you that this cool device takes a bit of a learning curve…I started laughing so hard the first time I used it because water sprayed everywhere! Even on day 2 and 3 I couldn’t seem to keep the water from soaking everything around me. Pik in, mouth mostly closed, turn on, clean mouth, turn water off, take out Pik. I had to keep telling myself this over and over…lol. I think I’ve got it down now and let me tell you that this thing REALLY CLEANS! My mouth feels amazing…from just water?! I even told the kid’s dentist office a couple of weeks ago that we were getting one and they had nothing but rav reviews. Amazon is full of them too. This thing is awesome and happy our life of braces and beyond will go much smoother. Free Shipping with code: FREESHIPWP660 for any Waterpik product. Valid until March 31, 2014. 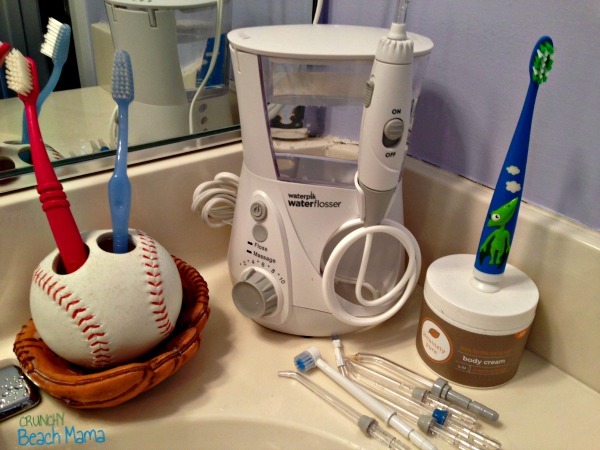 Tell me ~ Does your family need a Waterpik? Are you good flossers? My friend swears by this! 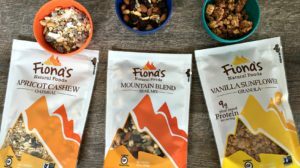 I'm going to check this out! My dentist highly recommended I get one of these! I love it for a really clean and fresh feeling! I remember having one of these when I was growing up. I really need to get another one. Thanks for sharing. I'm horrible about flossing! I use floss picks, which is better than nothing I suppose. I should really get one of these! We have electric tooth brushes but will need to upgrade soon. I will consider these. My husband had a stroke that left him without use of his right hand, so regular string flossing is impossible for him. This waterpik would be excellent for him! 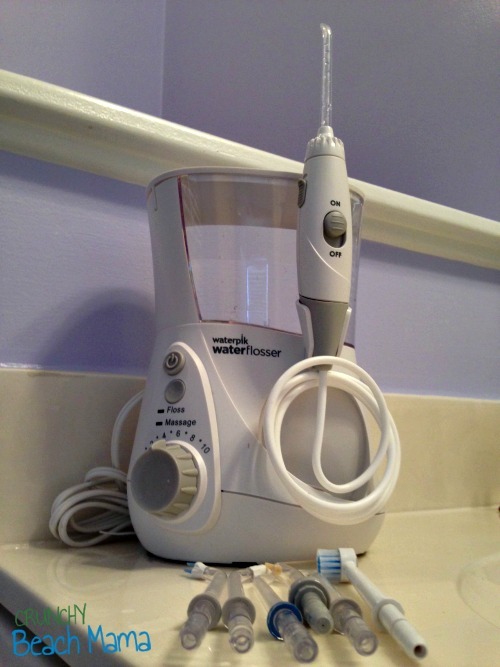 I'm not a great flosser so I was SO happy to get to review this flosser too. And you're right, it's so cool to get "clean" with just water!